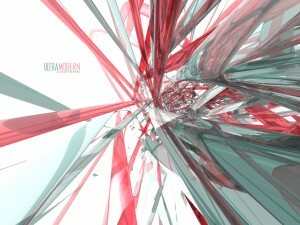 Ultramodern is sort of alone in a sense, at least how it relates to the other work in my portfolio. When I created this wallpaper I was really experimenting with a lot of different styles and a lot of different programs, Ultramodern is the result of one of those experimentation session. This wallpaper was created in Bryce 5, a lesser known and less powerful 3D modeling software. The reason I liked Bryce is because it had some really nice textures and tools to apply said textures. This is basically a bunch of oval rings with glass like textures bunched and then a zoom out in perspective. The result was something that reminding me of the tubes you see in sci-fi movies, so that’s where the name comes from. This layout was a special one, a very special one. Up until this point, most of my layouts had been pretty bad (not that this one isn’t by today’s standards) but when I made this layout and uploaded it to DeviantART I found it got a lot of attention (at least for me, lol) which was a big surprise. Again up until now I hadn’t really done any wallpapers or much in the way of actual art, none of us were very good, this was the beginning of everything to come. The first challenge after making it, was to code it on MSN Groups. 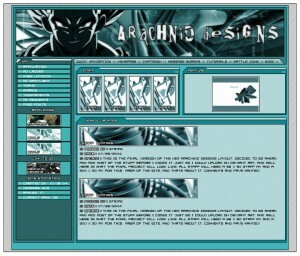 That was not easy in 2004, I was better than most everyone else on Groups at HTML but I still sucked and it was a real challenge making this look like it did in my design, but I pulled it off. Sad to say that AD was pretty much going downhill by that point, the split had already happened and the site didn’t last that much longer. Still, this was an important layout, it will always hold a special place for me. CPN and by connection of course CPN Groups was a big stepping stone for me. Finding out that MSN Groups was going to be closing was a major blow, by that time I had spent 8 years or so RPing and building my RPGs and communities on MSN Groups. With that news there was only one option, make my own. I really was out of my league when all of this started but somehow in the end I made it all work. The idea being that CPN Groups would be just like MSN Groups in structure but with more modern features, that meant that the actual group design would be similar to what MSN Groups had looked like, but with my own flair. Looking at this screenshot you can see how close the structure was to MSN Groups but it brought in the CPN theme and worked out really well for us while it lasted. I have some different color themes (black and pink) that were going to be released a long with an assort of others as premium themes, I’ll post some screens of them in the comments section. 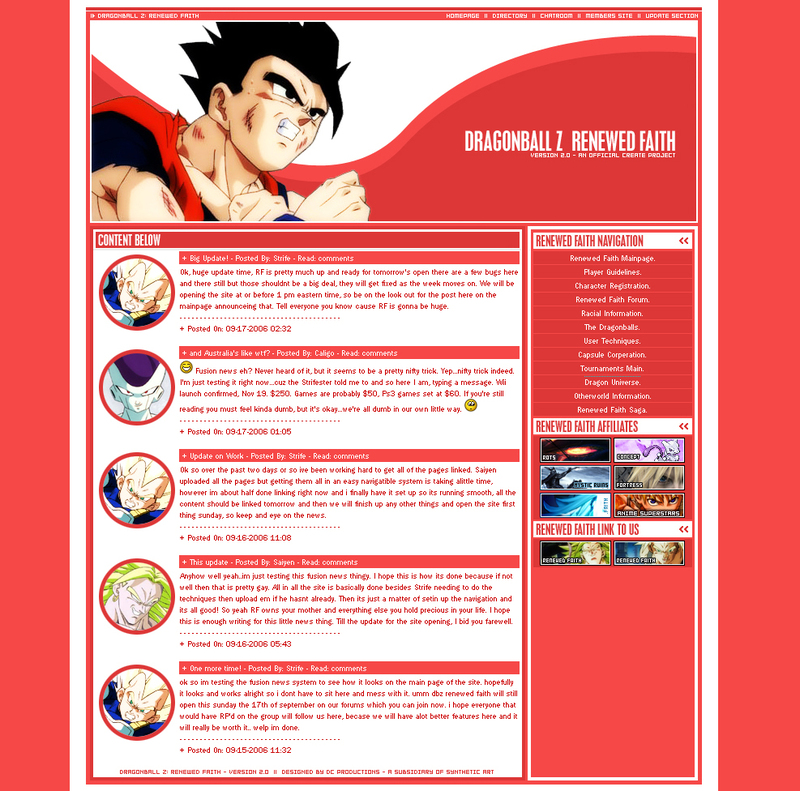 This was kind of an interesting layout for me, for one it was for a friends website but I really put a lot of effort into making in something different for MSN Groups. 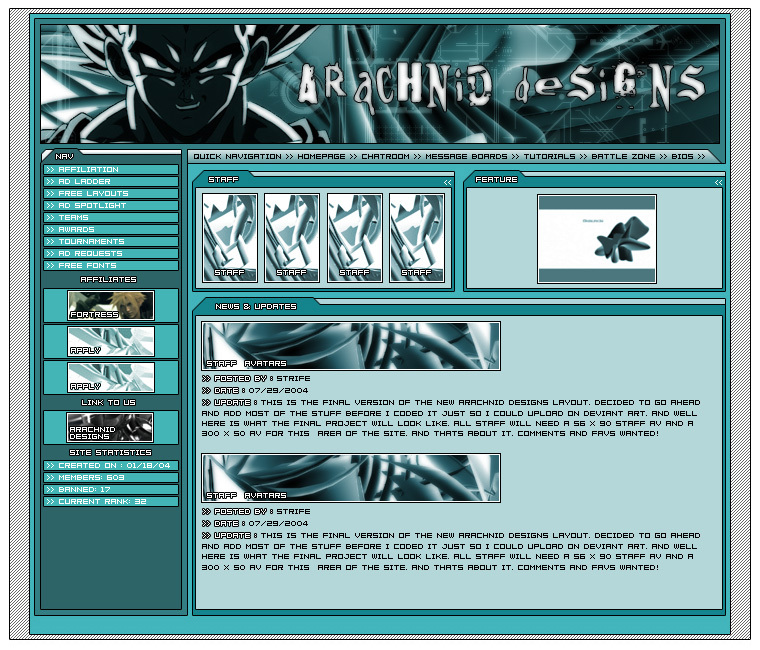 At the time the idea of having a navigation and content areas not be even was something you didn’t see on MSN Groups because of the limited HTML allowed so when we showed this one off it was a big hit. In the end the RPG never actually got finished, which is a let down but I was really happy to do the layout for Serno and it’s one that I always enjoyed, I wish I still had a coded version of it someplace so it could be seen with content, but alas I only have the original working image that was used to slice from. 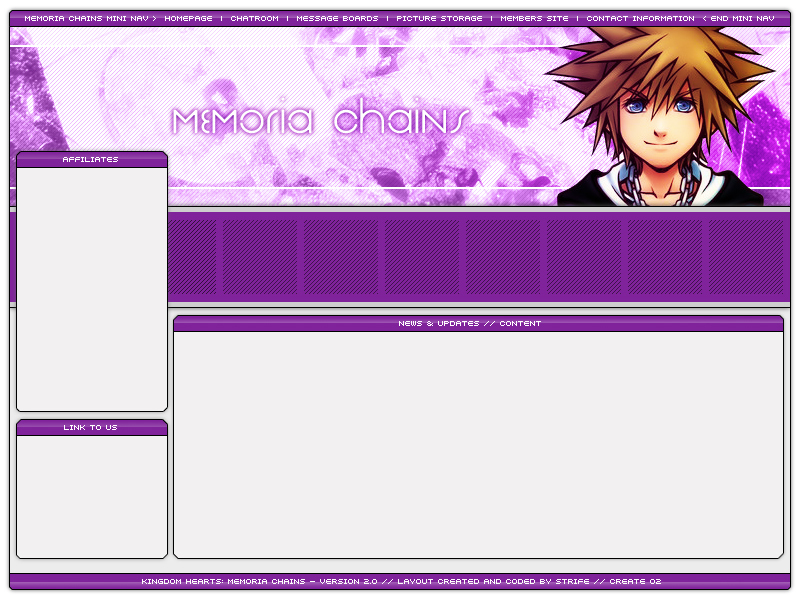 As a side note many of the ideas here ended up making their way to my own Kingdom Hearts RPG that I started work on when Serno stopped working on Memoria Chains. This layout was made entirely in Adobe Photoshop 7. Dragon Ball Z: Renewed Faith had a very long and interesting history, especially early on. Originally the RPG was being developed exclusively by Saiyen who one day in the Create chatroom took part in a lengthy discussion about how a true DBZ should be made, which led myself to becoming co-designer of the RPG. We really hyped RF up a lot, and we gained a lot of attention, some of it not so good. The original design, which is much like this one, was based off a Trigun Project Seeds layout I never used, just with the banner swapped out. However this bad attention led us to move the site to a .com. That’s what this version of the RF layout is, complete with dated fusion news installed and some other poorly conceived .com stuff. In the end we ended up moving it back to MSN Groups where it fared much better than on the .com. This layout was created completely in Adobe Photoshop 7.0, and is pretty simple really. 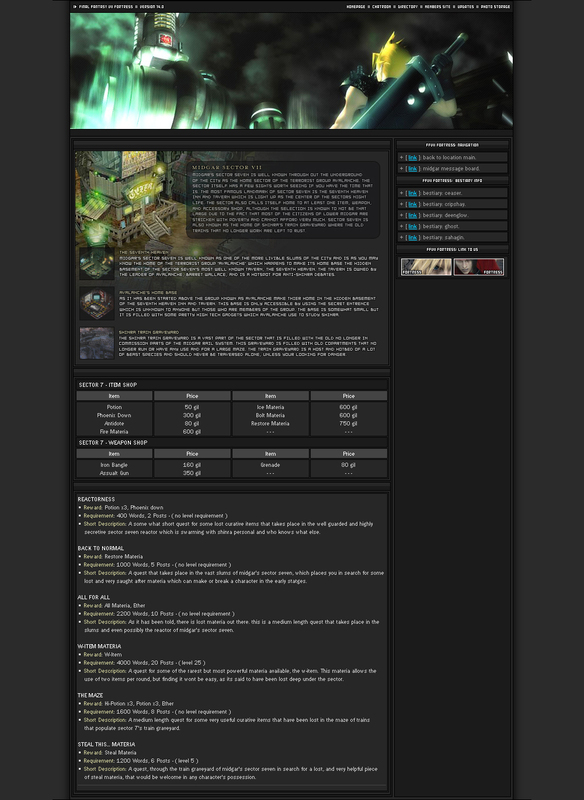 Below you will find the latest posts from the central community forums followed by the latest posts from each of our individually hosted RPGs. For more topics visit the, Community Forums? For more topics visit the, Eternal Gaze Forums? For more topics visit the, War of Hearts Forums? For more topics visit the, Naruto Jidai Forums?